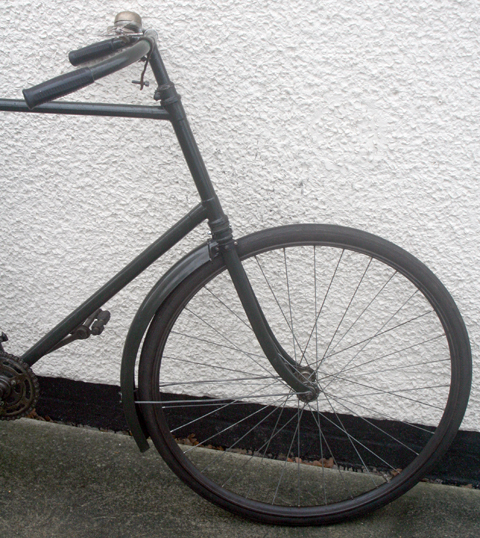 It is rare to see a Singer bicycle these days. This one was owned by a friend of mine for many years. 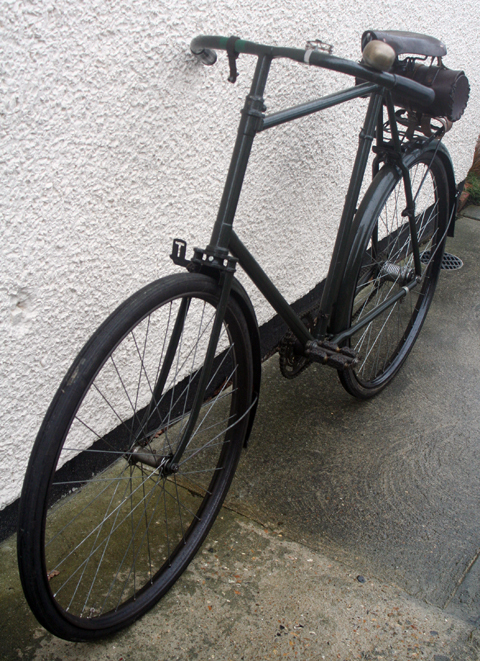 After restoring it, he used it a lot. 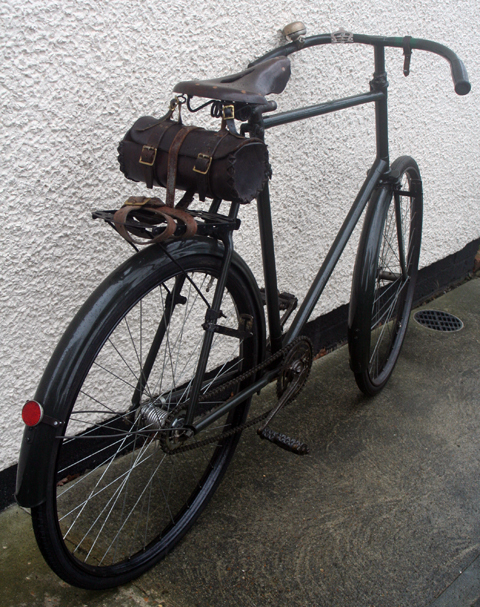 It’s in first-class condition and rides very well. 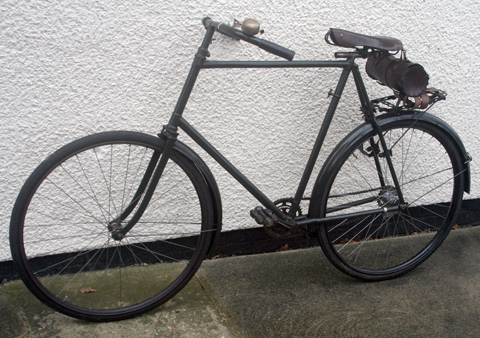 Machinist George Singer of Coventry England left his job at the Coventry Machine Shop of James Starley to form the Singer Cycle Company in 1875. 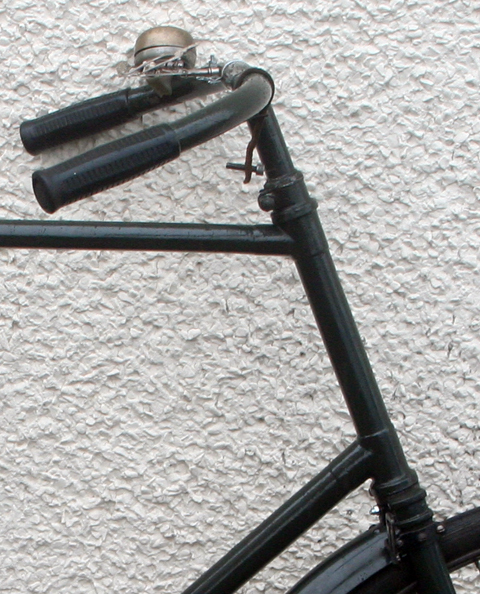 He manufactured sewing machines and safety bicycles, and patented a bicycle fork in which the ends of the fork were curved. 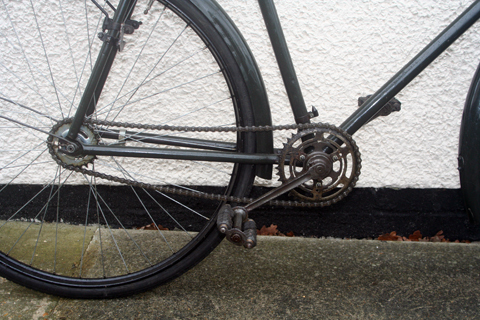 This improved steering and made for a smoother ride, because the forks absorbed more of the shock from rough roads, rather than transmit the shock to the handlebars. 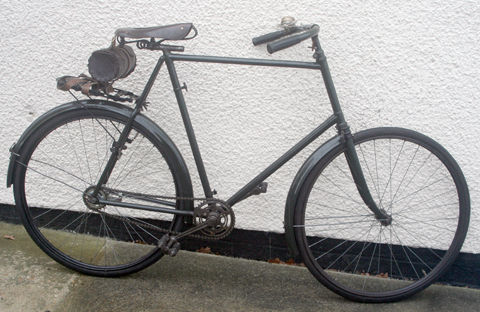 Singer purchased Coventry Premier in 1920, and the company sold bicycles using that name. 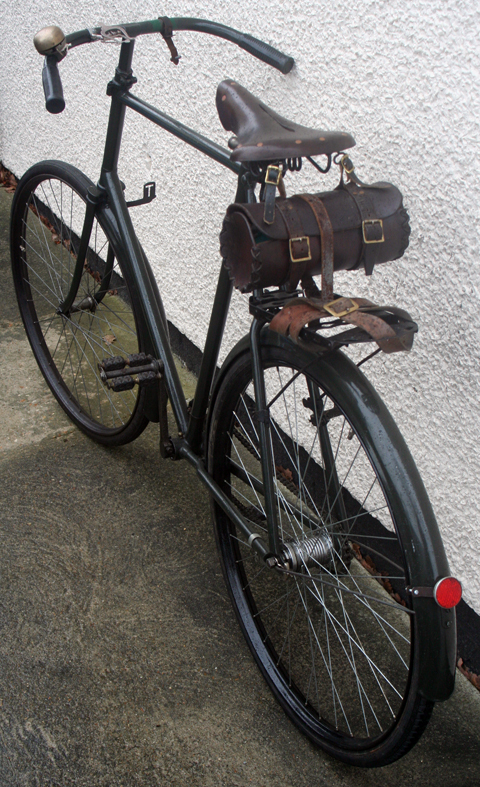 They did not make bikes during WW1, but after the war bicycle production continued until 1928. 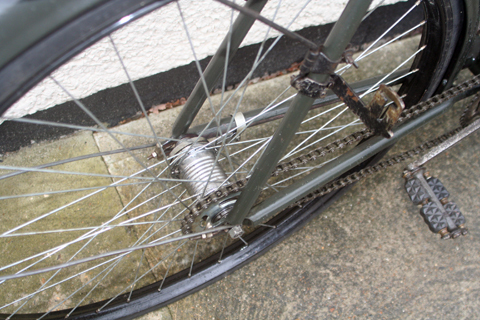 The Motorwheel (above) first produced by Singer in 1900 after acquiring the licence from Perks and Birch. 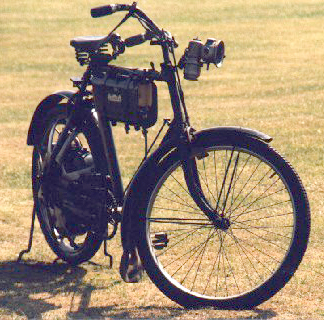 A 2hp engine was fitted within the aluminium spoked wheel. 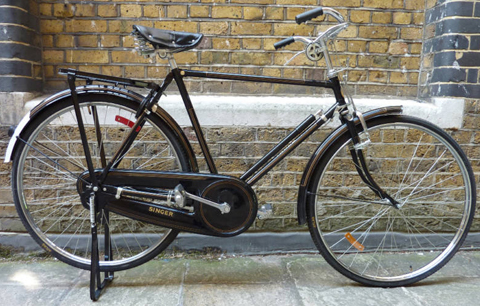 It appeared in various forms, including Gent’s and Lady’s bicycles, tricycles, tri-voiturettes and even milk churn carriers. 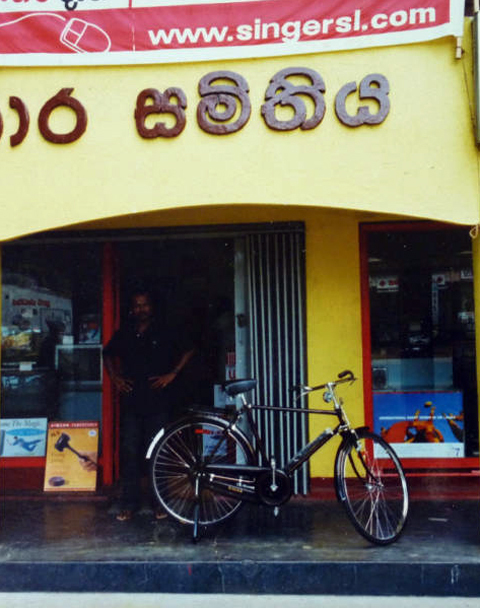 It’s good to know that Singer bicycles are still being made …in Sri Lanka. 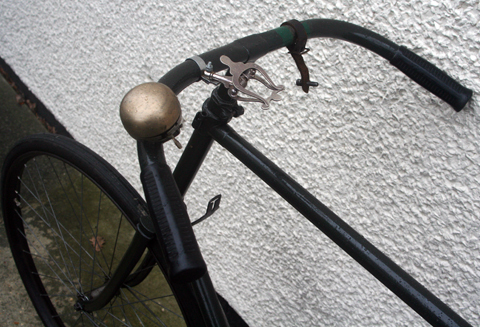 As you can see below, the steering lock bolt is housed in a leather strap attached to the handlebar. 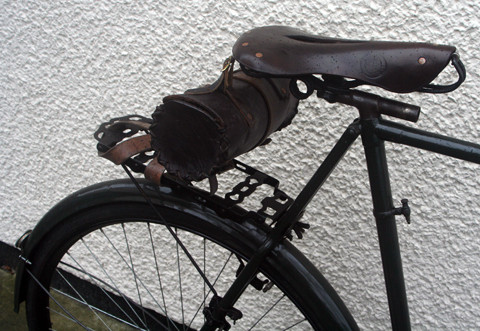 There is also a map-holder.